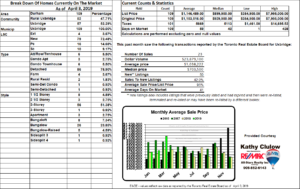 This past month there were 50 new listings and 23 residential sales reported by the Toronto Real Estate Board for Uxbridge. The 23 sales represents a 15% increase from the 20 sales last month and no change from the same month last year. Remember the best way to determine the Current Market Value of your home, short of selling it on the open market, is to have a Comparable Market Analysis done for your home. 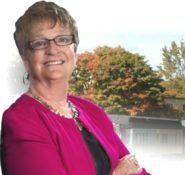 Search “All” The Listings Here ….. Use our quick search links for homes for sale in the following Durham Region Communities of Uxbridge, Port Perry/Scugog and Brock or the York Region Communities of Georgina, Whitchurch-Stouffville or our map search platform the choice is yours. The Real Estate Market Is Local and sometimes hyper-Local While Statistics Charts and Graphs may provide an indication of market trends they should not be used to determine value trends in relation to a particular home or vicinity. 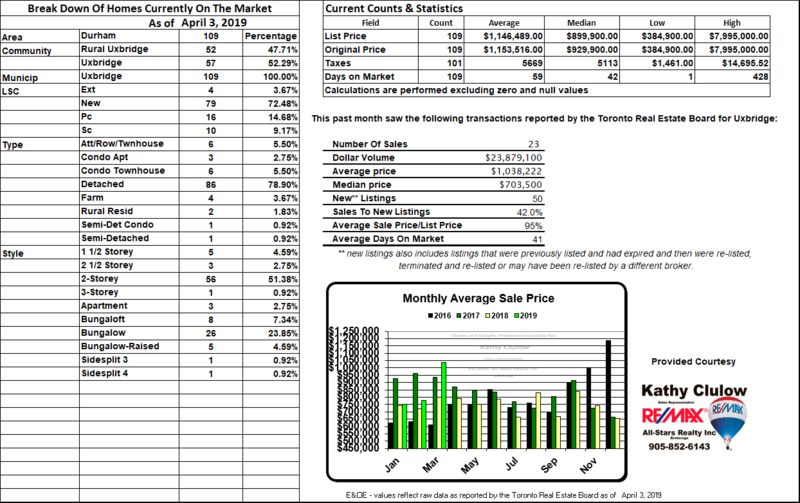 caveat – E&OE – these numbers reflect the raw data as reported by the Toronto Real Estate Board for the past month at the time of posting. ** “New” listings entered into the Toronto MLS® system between the first and last day of the month being reported may include listings that were previously listed and cancelled or expired and then relisted. 1 – Sales, dollar volume, average sale prices and median sale prices are based on firm transactions entered into the TREB MLS® system between the first and last day of the month/period being reported. 2 – New listings entered into the TREB MLS® system between the first and last day of the month/period being reported. 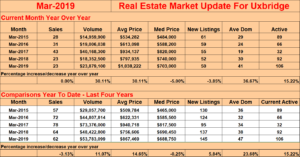 3 – Active listings at the end of the last day of the month/period being reported. 4 – Ratio of the average selling price to the average listing price for firm transactions entered into the TREB MLS® system between the first and last day of the month/period being reported. 5 – Average number of days on the market for firm transactions entered into the TREB MLS® system between the first and last day of the month/period being reported. 6 – Due to past changes to TREB’s service area, caution should be exercised when making historical comparisons. 7 – Past monthly and year-to-date figures are revised on a monthly basis. 8 – SNLR = Sales-to-New Listings Ratio. 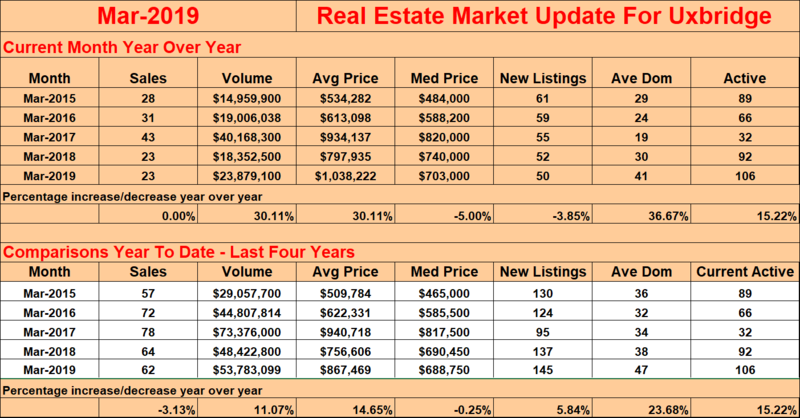 Calculated using a 12-month moving average (sales/new listings). 9 – Mos. Inv. = Months of Inventory. Calculated using a 12-month moving average (active listings/sales). The average selling price for March 2019 was $788,335 compared to $784,514 in 2018. “The OSFI stress test continues to impact home buyers’ ability to qualify for a mortgage. TREB is still arguing that the stress test provisions and mortgage lending guidelines generally, including allowable amortization periods for insured mortgages, should be reviewed. The supply of listings in the GTA also remains a problem. Bringing a greater diversity of ownership and rental housing online, including ‘missing middle’ home types, should be a priority of all levels of government. TREB is happy to be taking part in the City of Toronto’s consultations for the Housing TO – 2020-2030 Action Plan, and will certainly be raising the supply issue during these discussions,” … Toronto Real Estate Board President Garry Bhaura. “Market conditions have remained tight enough to support a moderate pace of price growth. Despite sales being markedly lower than the record levels of 2016 and early 2017, the supply of listings has also receded. This means that in many neighbourhoods throughout the GTA, we continue to see competition between buyers for available listings, which provides a level of support for home prices,” … Jason Mercer, TREB’s Senior Manager of Market Analysis.